The internet has become an indispensable tool when it comes to all forms of commerce, including the buying and selling of real estate. It has become much easier to find and compare commercial properties for sale in Mississauga, and sellers that wish to compete must incorporate online marketing into their business strategy, as this will help them generate more leads. Below are some tips that will help you accomplish this with maximum effectiveness. Your website is your bread and butter, the digital equivalent of your real estate office. It is the place where potential clients learn who you are and what you can offer them. Your website must be attractive, with a clean and crisp design that is simple to navigate. Information should be presented in a clear and easy to understand manner, and your contact info should be simple to find. Your website must also be search engine compatible, meaning it must be favorable with Google, Yahoo, Bing and other important search engines. The process of making a website search engine friendly is called SEO, or Search Engine Optimization. When someone wants to buy a commercial property in Mississauga, one of the first places they will go to perform a search is Google. 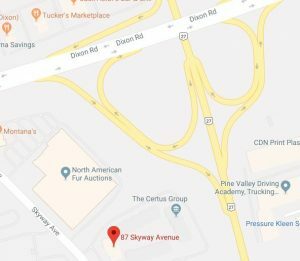 They will type in a sentence or phrase that is related to this subject, and Google will pull up a list of websites that sell commercial property in the Mississauga area. 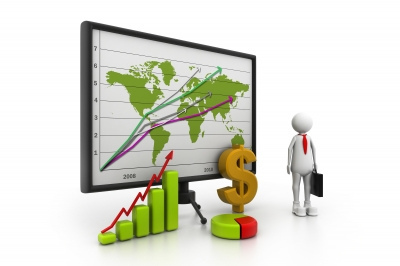 Your goal as a seller is to have your website come up in the top ten search results, and this is what SEO entails. A website which is well optimized will feature well written content, keywords, title tags, metadata and backlinks from authoritative sources. Achieving noticeable SEO results from a new website is both time consuming and challenging. It can take months or even years to crack the top ten search results depending on the industry competition. It is for this reason that many online marketers use PPC, or Pay Per Click marketing for brand new websites. PPC is a method for allowing a brand new website to rank high in the search engine results, a process that could take months or years when done with organic SEO. While there are many PPC services available on the internet, the king of them all is Google Adwords. The way Adwords works is simple: as a seller of real estate you would bid on keywords which are real estate related. The amount you bid will determine how high the site ranks in the search results, and if you bid more than your competitors your website could achieve a number one ranking. PPC is radically different from traditional advertising because you only pay “after” someone clicks on your ad and reaches your website. This is extremely cost effective when compared to traditional billboard or television advertising, where you would have to pay thousands up front before your business received exposure. Furthermore, effective PPC advertising leads to successful organic search results while giving you greater control. Social media is becoming so powerful that some believe it is beginning to rival the search engines themselves. Websites such as Facebook and Twitter offer the digital equivalent of word of mouth advertising, a must have for any successful business. Social media allows you to showcase the newest commercial properties you have for sale, and unlike the search engines you don’t have to perform months of intensive SEO in order to receive noticeable results. If you stay active on social media sites and gather lots of followers your properties will receive exposure and attention which can increase exponentially. As with PPC social media is excellent for brand new real estate sites that are just getting started and success with this platform will also help organic search engine results. The search engines, especially Google, enjoy lots of original, well written content. Every successful online marketer knows that content is king, both for the search engines as well as human readers. People that are excited and engaged by what you write have a much greater chance of purchasing a piece of property from you. In addition to publishing articles on your website, another way to keep users engaged is by writing an ebook and creating a blog. An ebook is an electronic document that can be downloaded to a computer, mobile phone, or other electronic devices. It can come in many formats such as .pdf or mobi. A blog is a type of digital web journal which is regularly updated. Ebooks can be used as marketing tools for your business, while blogs can be used to increase your organic search engine traffic. Good content is important because it builds leads through rapport and trust while increasing your credibility as an industry insider.